How Can I Cover My Outside Table & Chairs? The summer is over and you need to pack away your outdoor patio items. You have the grill stored in your garage and the pool is closed. The only thing left is covering up your outside table and chairs. Uncovered patio tables and chairs are easily damaged by winter's rain, ice and snow. If the furnishings are to remain outside, you need to cover them with a material that will keep the elements away from the table and chairs' surfaces. The most inexpensive and durable covering is a tarpaulin. To cover your outside table and chairs, you need to buy a tarpaulin (tarp) for your table and one for each of the outside chairs you want to cover. Do not buy one large tarpaulin and expect it to cover everything. You want to cover each chair with a tarp so ice, snow and other elements will not damage the furnishings. You also need a roll of polyrope (do not use nylon rope---it is affected by weather elements) and weights to hold the tarpaulin in place. Note that you can use concrete blocks, bricks or other heavy objects as weights. Before covering your outside table and chairs, clean them off with a damp cloth or towel to remove any dust, dirt and grime build-up. Dry the table and chairs with a clean towel or place them in the sun to dry. 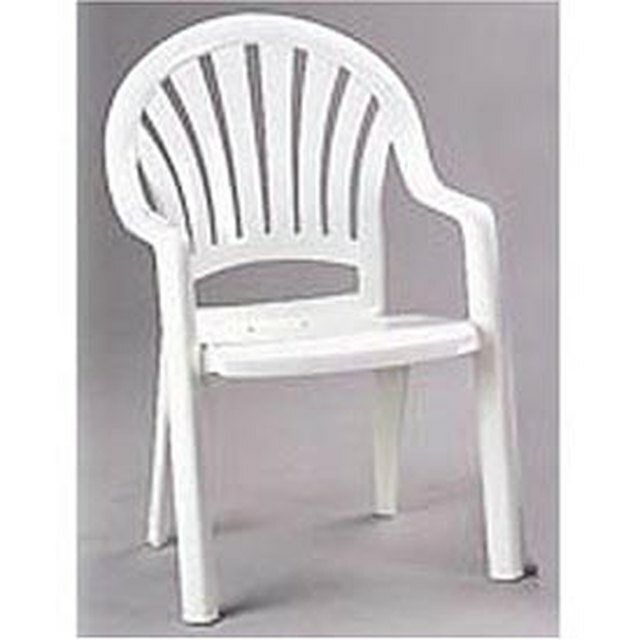 If your outside chairs contain any cushions, remove the cushions and store them inside of your house in a plastic bag. Next, wrap each chair in a tarpaulin so the entire chair is covered. Then tie a piece of polyrope around the covered chair. Place a weight in the seat of each covered chair. To cover the table, lay a tarpaulin that is larger than the table on the ground. Then place the table outside-down on top of the tarpaulin. Pull the tarpaulin up and over the table's legs. Fold down the excess tarpaulin around the legs tightly and wrap a piece of polyrope around the legs. Make sure the table and its legs are completely covered with the tarp. Stand the table on its legs and place a weight on top of the table Place the covered table and chairs close together on your patio or other outdoor space. Then wrap a piece of polyrope around the entire bundle of covered furnishings. Tarpaulins are available at most retail, hardware and home improvement stores. You can also purchase them off the Internet. Tarpaulins come in a variety of different sizes and colors. The brown, green and silver tarpaulins are a bit stronger than the blue tarps. Once the winter season is over, just untie the tarpaulins from around the table and chairs. Store the tarpaulins for next winter in a plastic trash bag or large cloth bag in a cool and dry location. Also save the rope and weights so you don't have to buy them again.